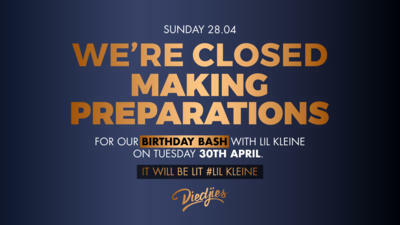 Sorry guys & girls, we're making preparations for out Birthday Bash with Lil Kleine on Tuesday 30th april. 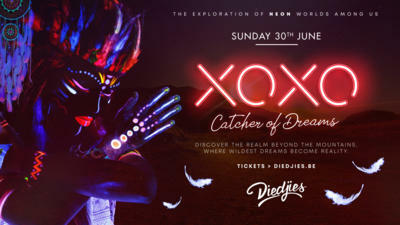 See you Tuesday for a crazy epic party! Dresscode: stylish, trendy & high heels! & get a free bottle of Champagne! Back to the 90's × 2Fabiola × Pat Krimson × DJ F.R.A.N.K. With LIVE performance by the one and only 2Fabiola. Known from the hits 'Lift U Up', 'Freak Out' and 'She's After My Piano'. Guest DJ set by Pat Krimson and DJ F.R.A.N.K. 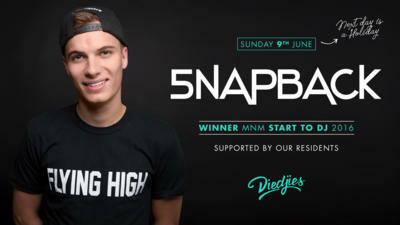 Let's break the house down and make this a night to remember!